Heavens to Mergatroyd: Defending women ~ don't count out mon premiere ministre d'amour! Defending women ~ don't count out mon premiere ministre d'amour! As I said soon after Macron was elected: Let the Macron - Trudeau awesomeness competition begin! Yesterday I blogged about Macron's call to fight violence against women. And unlike Macron, Trudeau isn't mentioning that "puritan" nonsense. Also Macron can't even compete in the "hottest dad" competition. I was surprised that the Trudeau haters didn't point out that his youngest son Hadrien in this photo is dressed as the only female member of the Paw Patrol. This Australian comments with approval. 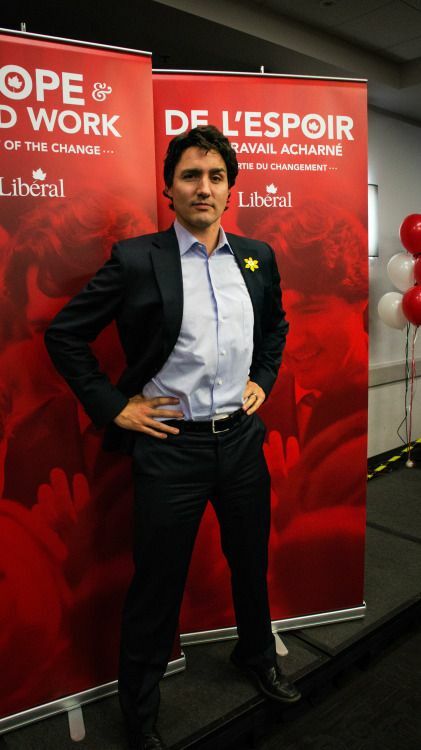 And now I have an excuse to post a photo of Trudeau. Yay! I don't care what the Internet said in May 2017. I still think Trudeau is hotter - it's the hair. He's also taller than Macron, which doesn't matter to me but many women say height does matter to them.